We're all wondering where Nintendo will go with its next home games console, but new info suggests that if it's 3D you want, the gaming giant's already got the ball rolling. The company apparently made a concept Wii 3D – which didn't require 3D glasses – to prove to insiders that the 3DS could work. The console worked on a specially designed TV and ran a tweaked version of Mario Kart Wii. According to reports, this was used as proof of concept before the tech got squeezed down into the 3DS verbatim. It's unclear as to whether Nintendo will eventually bring this tech to the Wii 2, but it's good to know that they could. Presumably, it must depend on how 3D TV sales go, and which kind of 3D tech people take a liking to. 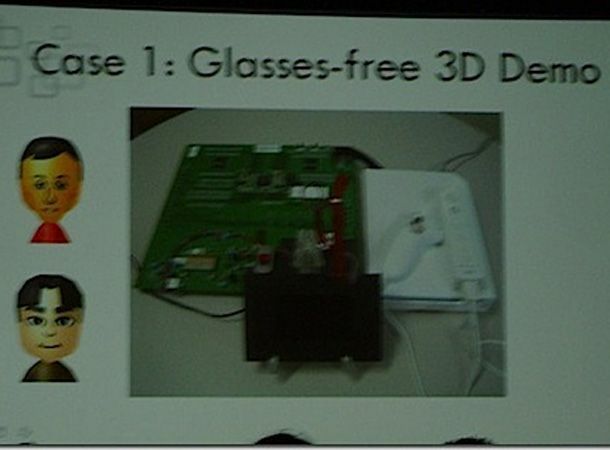 Would you like a glasses-free 3D Wii, or is 3D just a fad? Let us know on the T3 Twitter feed.